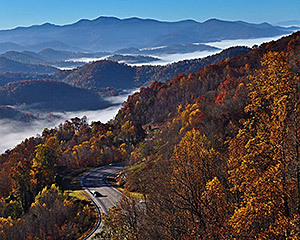 The Dogwoods are pristine, the tulips are exploding with color and the mountains of Western North Carolina are calling. 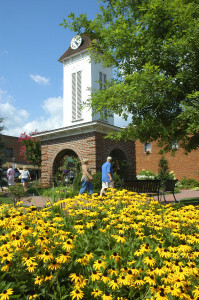 Spring in Franklin is unlike anytime of year. Everything is new and fresh and the air is a little crisper than normal. 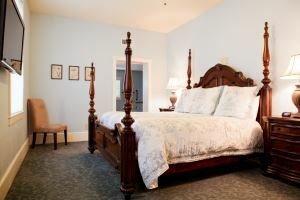 If you are thinking of a weekend getaway, look no further, Franklin is where you need to be. 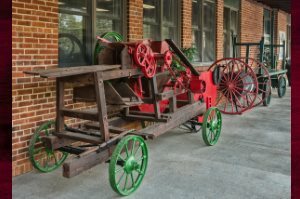 May is a fantastic month to plan a trip to Franklin, North Carolina, with unique experience planned each feel. 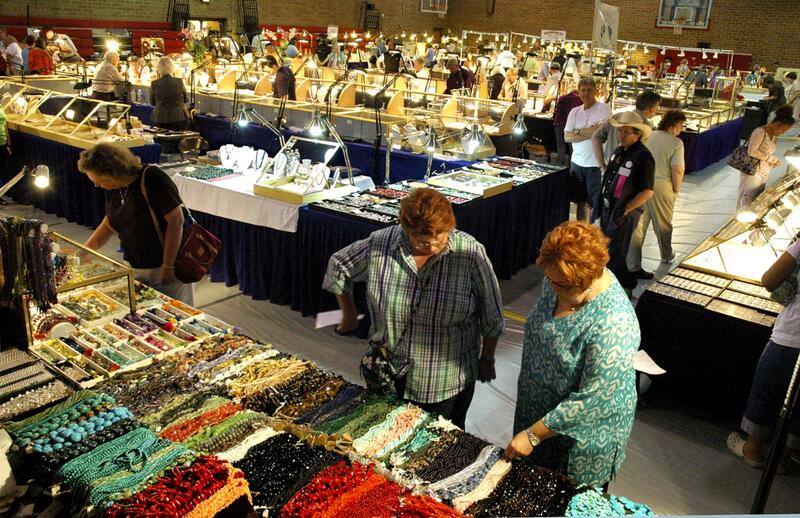 From an introduction to puppetry class at the Smoky Mountain Center for the Performing Arts on May 2 to the Echo Valley Gem and Mineral Show May 4-8, there is something for everyone. Mother’s Day weekend is a treat in Macon County, with gem shows like you have never seen, a plant sale along main street and the famous annual “Airing of the Quilts” festival. Come see homemade, one of kind masterpieces as they are hung up and down Franklin’s quaint main street and stop in to say hello to the shop owners displaying these works of art. The Little Tennessee Greenway is perfect in the Spring, with the cool breeze of the Little Tennessee River pairing well with the sweet smells of native flowers blossoming along the walk. 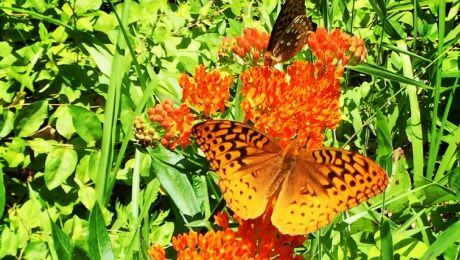 The Appalachian Trail and Bartram Trail are bustling with hikers and with various trail heads and access points to both, a great day hike or even a section hike is the ideal way to spend time in Macon County. Spring is a time for new beginnings and fresh starts and what better way to recharge and refresh than Discovering Us, here in Franklin, North Carolina. 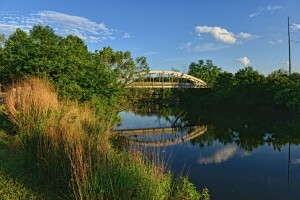 With mountain ridges as far as the eye can see and fresh water streams that meander through the hills, Macon County is home to nearly 250 square miles of United States Forest land, making it the perfect outdoor adventure mecca. 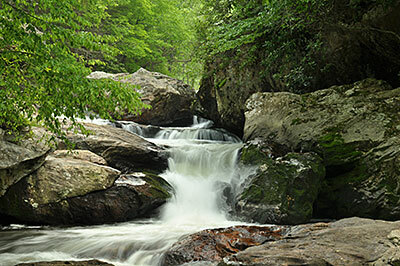 From unmarred national forests to pristine mountain waters, and its location as a gateway to the Great Smoky Mountains, Franklin, North Carolina is the ideal outdoor destination. 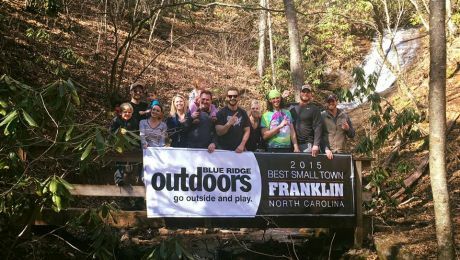 With Blue Ridge Outdoor Magazine’s recent designation as a 2015 Top Outdoor Town, visitors from all over will soon find out exactly what makes Franklin the perfect place to get lost outside. 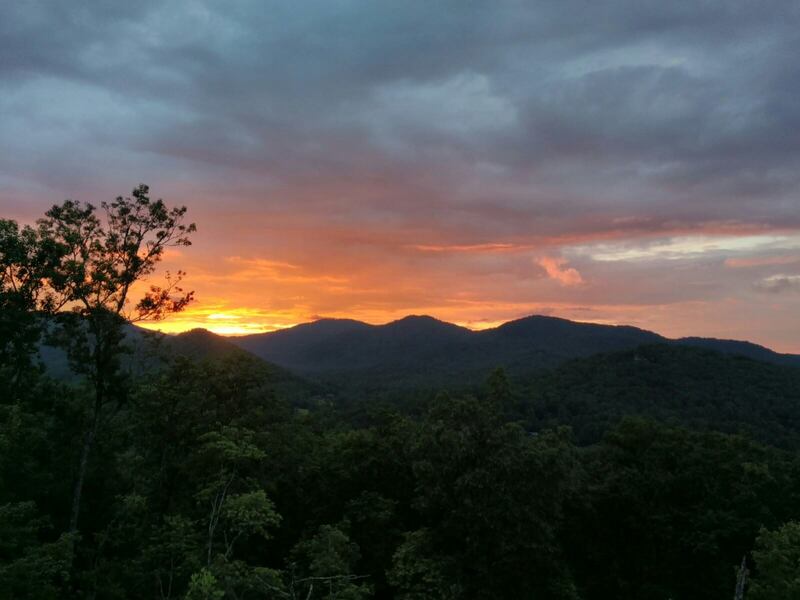 With terrain reaching 5,580 in elevation, the Nantahala National Forest spans 531,270 acres over six counties, with the majority being located in Macon County. 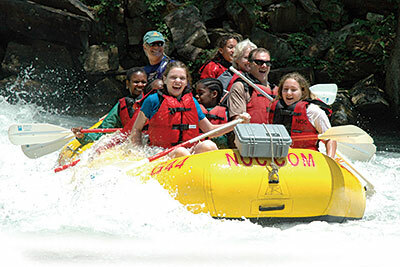 As the largest national forest in North Carolina, the Nantahala National Forest houses three wilderness areas, including Ellicott Rock near Highlands. These unharmed wilderness destinations preserve the forests as close to their original state as possible, making for the perfect outdoor experience. These wilderness areas create the perfect opportunity for solitude in a rugged, natural setting. Not everyone wants to get lost for long and by being located two to two and half hours away from Atlanta, Charlotte, and Greenville, Franklin makes for the ultimate day adventure. 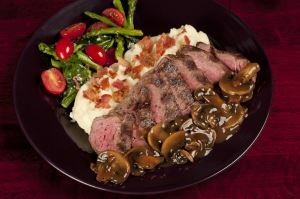 Franklin sits 130 miles north of Atlanta, 180 miles west of Charlotte, and 110 miles northwest of Greenville. After a couple of hours in the car, anyone can leave the hustle and bustle of the city and become consumed with crisp mountain air and pristine relaxation. 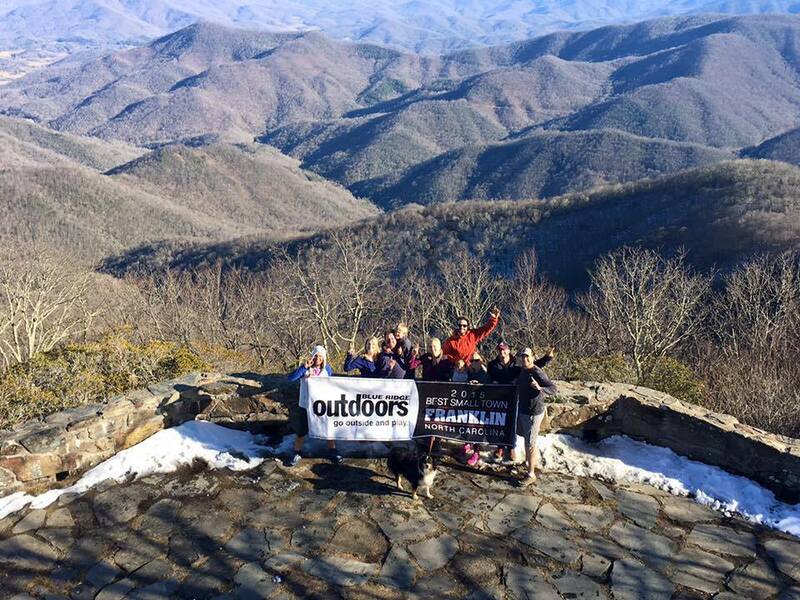 From the Nantahala Hiking Club providing insider information about the best spots to put some miles on your hiking boots to businesses built on serving the outdoor enthusiast, Franklin is an entire community dedicated to the outdoor industry. From custom shoe fittings at Outdoor 76 or resupplying before heading back into the woods at Three Eagle Outfitters, to grabbing a beer at the Lazy Hiker Brewery, Franklin has grown into a one stop shop, all of which are locally owned and operated for premiere customer service, for the outdoorsman. All 2,200 miles of the Appalachian Trail stretches through 14 states and the Appalachian Trail Conservancy has designated 36 towns from Georgia to Maine as certified Appalachian Trail Communities. 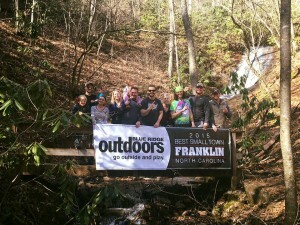 Franklin, being recognized as a leader in community involvement to promote and protect the trail, was designated as the very first Appalachian Trail Community. Macon County is home to 47 miles of the Appalachian Trail, with Franklin being just 11 miles off the trail. 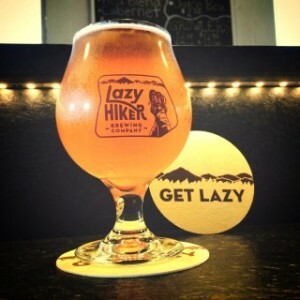 The Macon County Transit also provide a shuttle service to hikers during peak season. 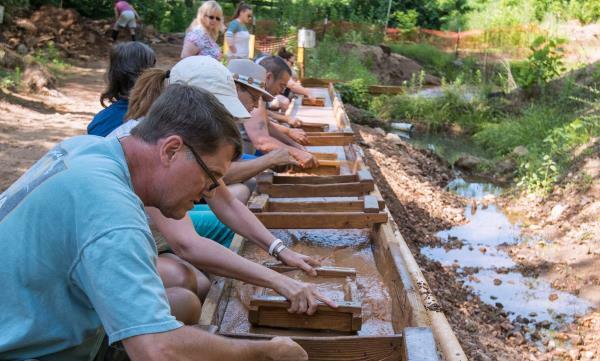 As a leader in the trail communities, Franklin has even worked to develop an annual month long celebration of the trail, April Trail Days, spanning from the first day of Spring until Earth Day. With events and celebrations hosted by various businesses and clubs in the community to promote the trail and welcome hikers to Franklin. Hiking, biking, climbing, paddling, and every other outdoor recreation opportunity you can possibly fathom. The possibilities are endless. 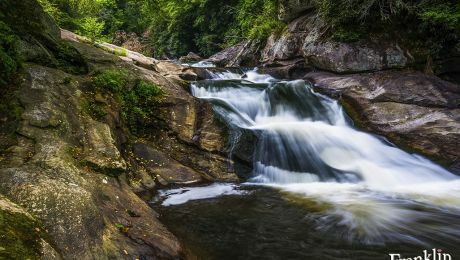 From hiking perfection like the Appalachian Trail and the Bartram Trail, to rock climbing at Pickens Nose, to paddling down the Little Tennessee, the miles and miles of forests and rivers encompassing Franklin lends itself beautifully to satisfy your wanderlust. 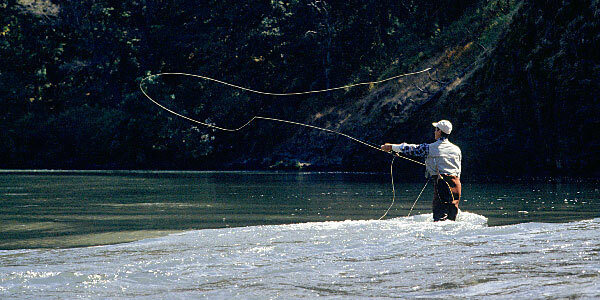 Whether you want to throw on a pack and go off the grid in the Nantahala National Forest or if you was to suit up to test out your rod in a fresh mountain stream, there is no shortage of opportunity in Franklin. 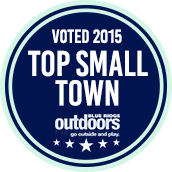 Our fantastic town was named the 2015 Top Small Town by the readers of Blue Ridge Outdoors. Fall in Franklin North Carolina is truly a sight to behold. 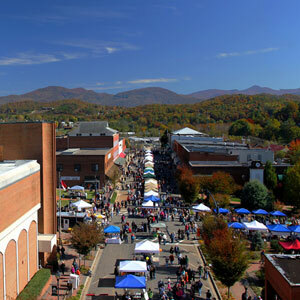 Here are 6 reasons why Fall in Franklin North Carolina is something you should not miss! 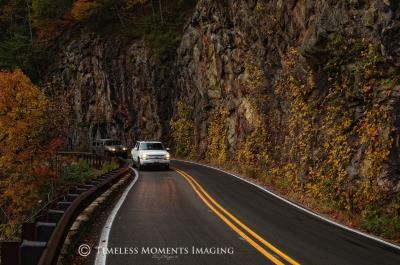 Take a beautiful Fall drive. 1) Experience the Wonders of Nature! 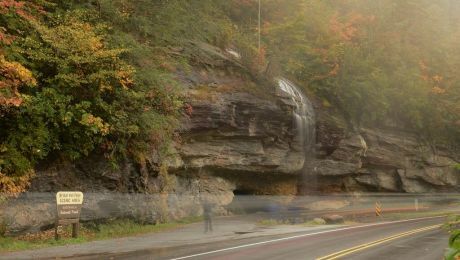 There is nothing quite like Fall in the mountains of Western North Carolina and Macon County has some of the best spots around to see the electric colors of the season. 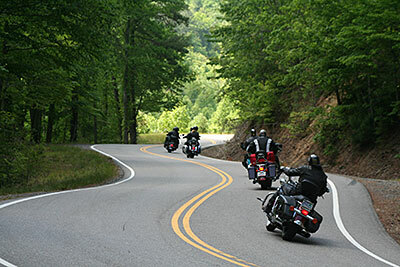 2) Navigate the winding mountain highways. 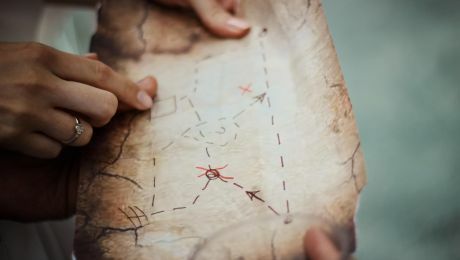 Fewer sights are more remarkable than those found along U.S. 64 connecting Franklin and Highlands or those found along Wayah Road connecting Franklin and Nantahala. 3) Enjoy the last purely agricultural fair in North Carolina! You might not find carnival rides and games at the annual Macon County Agricultural Fair, but as the last purely agricultural fair in the state, the annual event is nothing shy of a good time for the whole family. The famous Pumpkin Roll is a favorite activity at Pumpkinfest. 4) Compete in the world famous Pumpkin Roll down Frogtown. 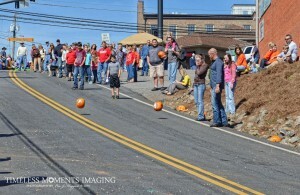 Its tough to pin down the best part of Franklin’s annual PumpkinFest. 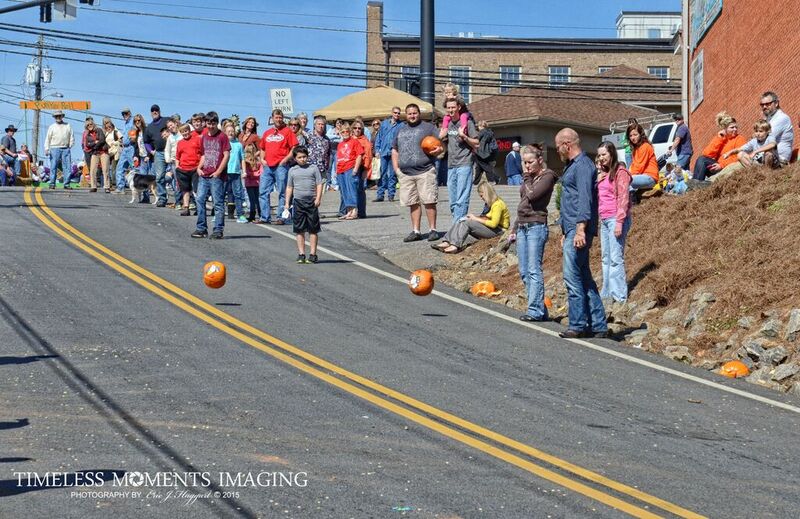 Who can chose between the Pumpkin Pie eating contest, the costume parade and contest down main street featuring the most darling princesses and adorable clowns, or the World Famous Pumpkin Roll that launches pumpkins 100 yards down Phillip Street’s steep incline. Whatever your vice, this annual Fall festival has a little taste of everything. 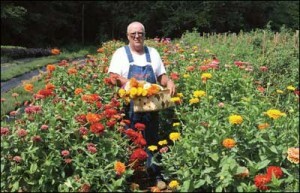 Local farmers have freshly picked Fall harvests. All Fall long local farmers such as Deal Farms have fresh picked harvests like apples and pumpkins and just when the cool crisp air begins to tingle your skin, the corn field is carved out in a maze for a fun day of adventure. 6) Race in the cool mountain air. All year long Franklin has a busy schedule of foot races planned ranging from 80s themed 8ks to benefit for the Shriner’s Hospital to 5ks downs main street while sporting a kilt for the annual Father’s Day weekend Braveheart run, but there is just something about the Fall weather that makes races a little more enjoyable. If you’re looking for a longer distance run, check out the annual Conquer the Mountain half Marathon on November 7 or if you want to get funky, put on your best turkey costume and race along the Greenway for the annual Cold Turkey 5k on Thanksgiving morning. Photos provided by Eric Haggart of Timeless Moments Imaging. 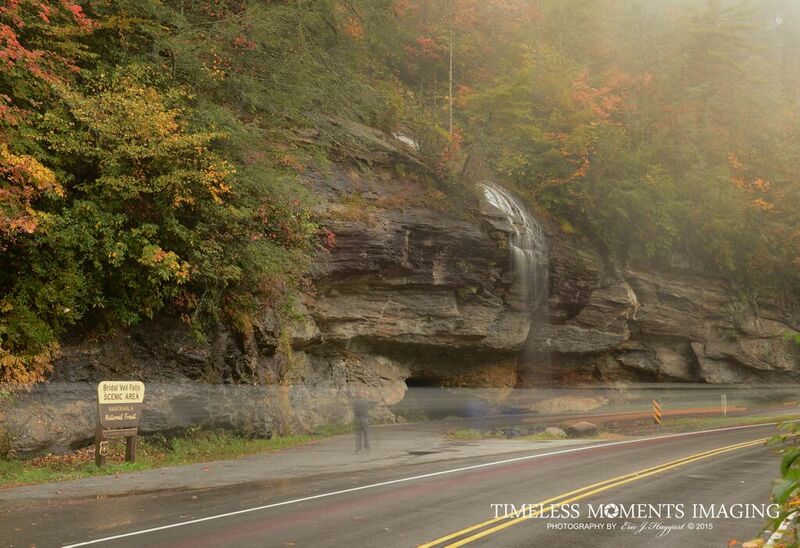 Timeless Moments Imaging is Franklin, NC photographer specializing in weddings, engagements, family photos and stunning scenic portraits in and around Macon County.